United Breweries says sales could fall by 40% following court ban. 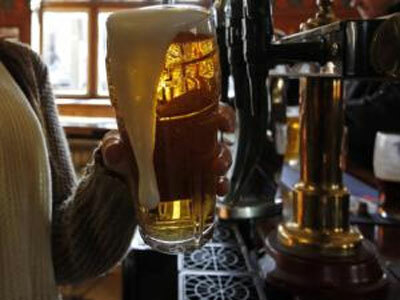 United Breweries Ltd, India’s largest beer maker and majority-owned by Dutch firm Heineken, has said that its sales of the alcoholic beverage could drop by 40 per cent once the Supreme Court ban on liquor shops on highways comes into effect in April. The estimates were arrived at after mapping the liquor outlets and sales in these stores, executives of the company said on Thursday. On December 15, the court, on a petition, ruled that states should cancel the licences of liquor shops in and around the national and state highways, citing increasing road accidents due to drink driving. The ban includes shutting down liquor shops located within 500 metres from highways. “We need to find out the specifics of the order. There are a lot of roads in India that run within the city and there are state highways. It is also said that there is a chance that the state highways are exempted,” said Steven Bosch, chief financial officer, UBL, on a conference call. Anil Pisharody, senior vice-president, finance, said the challenge was not the renewal of licences but to get a place to relocate. “The problem is more of logistics now. They need to relocate to areas nearby, which takes time,” said Pisharody. UB controls more than half of India’s annual beer sales of nearly 300 million cases. While it continues to grow the sales of popular brands such as Kingfisher beer, the company would look at expanding premium products from the Heineken portfolio into states outside Karnataka, its main market. The company on Wednesday asked its non-executive chairman Vijay Mallya, currently in exile in the United Kingdom, to resign from the board. UB and liquor maker United Spirits Ltd were sold to foreign rivals Heineken and Diageo, respectively, after Mallya’s civil aviation business went under and put him in deep debt. He has been accused of being an absconder and the government has issued notices to the United Kingdom to extradite him. UB’s sales have dipped because of demonetisation even as the company faces bigger challenges in Maharashtra due to higher excise duties, and regulatory changes in Tamil Nadu. “We do not know the reason (for irregular orders in Tamil Nadu). We assume it is because of a series of events including the death of the chief minister or a push towards their local products,” said Bosch. UB’s primary volumes went down eight per cent in the current quarter, which, the company said, was an impact of demonetisation in November and December. The company said its worst month was December.